A well baked sponge cake can be the perfect base for hundreds of different cakes. 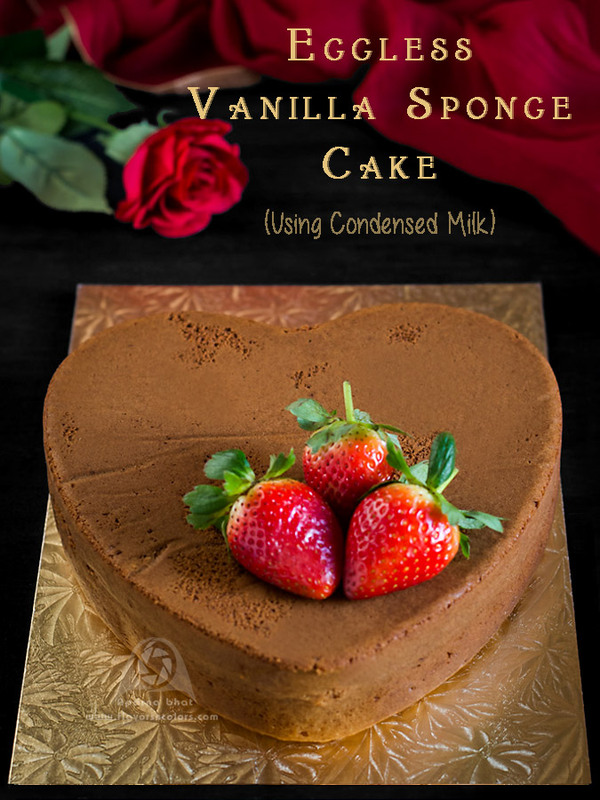 Today I am posting a recipe for simple sponge cake using condensed milk that acts as an egg substitute. You may get creative and experiment with shapes, sizes, use different fillings, icing, frosting of your choice to make the cake look exotic. 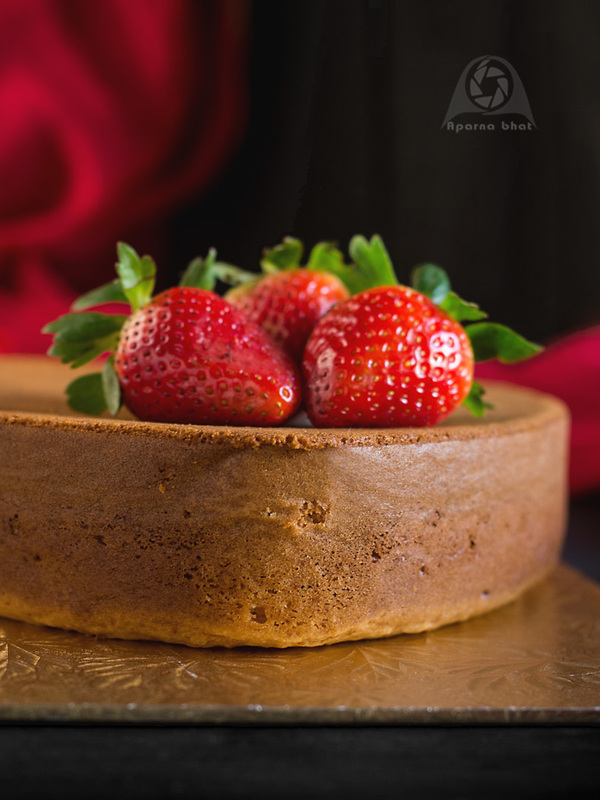 It is an oil based cake so you can use this as base cake and pair it with fresh whipped cream. In my post few days back, I have paired this cake with fresh whipped cream to make delicious Eggless fresh cream pineapple pastry. Sieve maida, cornflour, baking powder and baking soda in a wide bowl and keep it aside. Pre-heat the oven to 150 deg C. Prepare the cake pan [heart shaped pan here] either by dusting or lining it with parchment paper. Place condensed milk + sugar in deep bowl and beat it until it becomes light. Add oil and mix it well. Now add dry mixture gradually [in parts] to the wet mix alternating with milk until the dry mix and milk gets finished. Fold it gently with a spatula. Now pour the aerated cola and mix it evenly. Pour the batter in prepared cake pan. Bake it at 150 deg C until the cake is done. Insert a toothpick in the the center of the cake to check if done or not. Remove it from the mould . Place it on wire rack and allow it to cool completely. Slice serve and enjoy. Long back I had posted recipe for Eggless Sponge Cake using curd which you can check in case you don't have condensed milk.